I know, it sounds crazy. I know you use Word and Excel, maybe even PowerPoint every single day. I know you send and receive documents from other people who use Word and Excel and your job depends on being able to open and those documents. I also know you you aren’t a pirate (even on Talk Like a Pirate Day) so using stolen software is absolutely out of the question. And yet, if you install Open Office today, you will never need to buy another version of Microsoft Office . How is that possible? Open Office is a suite of products that cover all the basis of the Office you are used to. The menu bar arrangement isn’t the same and some of the features work a bit differently, but unless you are a super duper power user of office software, it will do what you need it to do. Making any kind of change can be intimidating, especially if your current way of working only hurts “sometimes.” That’s why it’s important to download and start using Open Office now, before your current version of Microsoft Office is completely worthless. 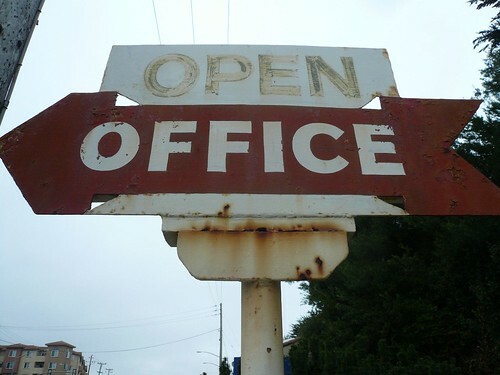 That way you can use Open Office for the projects without tight deadlines, and you can fall back on Microsoft for the times when the work has to be done right now. Eventually, (and sooner than you think) you’ll be comfortable using Open Office even in crunch time. Click “Download OpenOffice.org” in the big green box. Click “Save File” in the pop-up box and wait for the program to download. If a box pops up warning you the file you are about to open is an “executable file” click ok. It would really be better if you could show me. . .
Congratulations you are now an Open Office user! That’s it. You will be able to send your files to others still paying for Microsoft Office and they’ll never know the difference. Open refers to the Open-Source movement in the software industry where the source-code (the building blocks of the software) is made available to the public. If you aren’t a programmer, this might not seem like a big deal, since the the source-code looks like goobly-gook and even if you do figure out how to change it you will likely just break the program. But for people who know how to program it means they can read and edit the “instructions” the software gives the computer so they can improve it or change it to meet their specific needs. It also means that the software gets better faster because there are many eyes and many people with different perspectives working on it to make it better. In a sense it’s a bit like having someone proof read your work– with another set of eyes and another perspective, problems you didn’t notice or weren’t able to fix can often be found and solved easily. If you start using more open source software (and you will) You may hear it referred to as “Free as in Speech” and “Free as in Beer”– All open source software is free as in speech– that is, the code is available for anyone to see and use. Open Source software is often, but not always, “Free as in Beer” meaning that you don’t have to pay for it. I’ve used all the standard Microsoft Office products (Word, Excel, PowerPoint) and would consider myself an expert with these tools. I was pleasantly surprised at the similarity between them and the OpenOffice suite. Now, I do miss some of the more advanced options, and spent a little bit of time finding where the OpenOffice equivalent buttons were, however this was much quicker than learning to use MS products to begin with! Overall, I personally would not miss Microsoft if (for some reason) it disappeared one day! Thanks Greg! That’s been my experience as well. Specifically I found that the mail merge function worked differently enough that I wouldn’t recommend using it for the first time under any kind of time pressure but for everything else it’s similar enough that I sometimes forget I’m not using a Microsoft product. Thanks for using my photo (and crediting it) this is exactly why I post my photos (too rarely to be sure) to Flickr with a CC license – so that they can be used by anyone. I’m a huge fan of Open Source technologies and I’m glad my image can be part of this post. It’s a great photo–and it adds just the right twist to the post. I depend on photographers like you and the Creative Commons license to keep the blog fresh so a big thanks to you for the photo and stopping by to say hello.